Two enthusiastic thumbs up for the movie SELMA and the creative script that uses accent, aura, scripture, lyrics of gospel songs and original text instead of historic speeches. Before seeing the movie, SELMA, I read that the speeches given by Dr. King in the film were written by [the talented writer, producer, director and distributor] Ms. DuVernay and were not the historical speeches given by Dr. King. Dr. King’s heirs did not grant permission for his speeches to be quoted in “Selma,” and while this may be a blow to the film’s authenticity, Ms. DuVernay turns it into an advantage, a chance to see and hear him afresh. Mr. Oyelowo, a British actor of Nigerian background, has mastered the Southern inflections and preacherly cadences that have become part of the permanent soundtrack of our educational system, and the script offers credible paraphrases of his character’s unmatched eloquence. [–BRAVO, Ms. DuVernay, for turning this into an advantage]. It is not uncommon for permission to use famous copyrighted works, like Dr. King’s famous speeches, to be unattainable or denied. (Obtaining permission to use a famous copyrighted work is often cost prohibitive). Whatever the reason that permission to use a famous work is unattainable or denied, creating an original work is a brilliant solution. After seeing the movie SELMA this past weekend, I was impressed with the use of bible verses and gospel lyrics in Ms. DuVernay’s script. Bible verses and gospel lyrics are often in the public domain and free to use. Intermixing public domain material and original text in a movie script works. For example, Ms. DuVernay’s script uses the lyrics of the “Battle Hymn of The Republic” in a final scene with Dr. King. The lyrics of this old hymn (written in the 1860’s and now in the public domain) were a powerful, spoken finale. 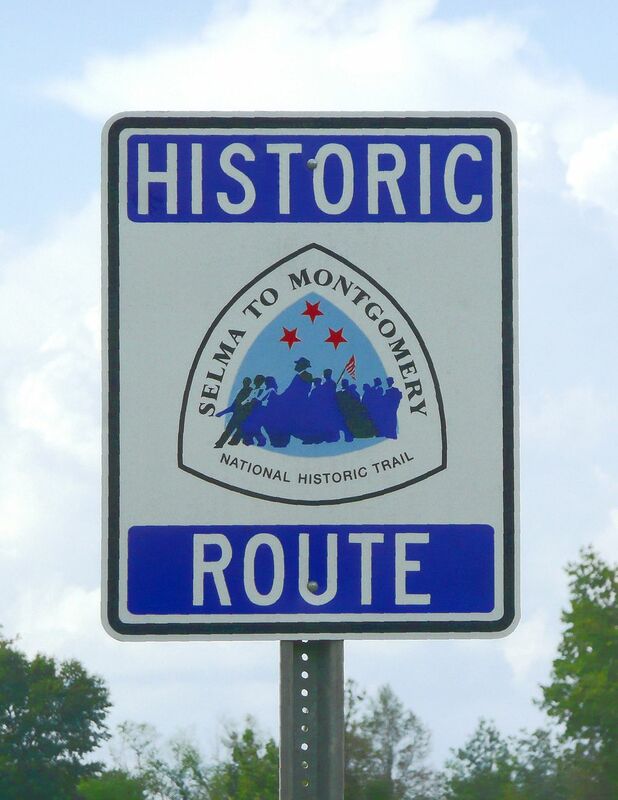 See also: An earlier blog post on Copyright Law & Dr. King’s famous “I Have a Dream” speech at http://wp.me/p10nNq-3R; Free tickets for 7th, 8th, and 9th grade students at http://selmastudenttickets.com; the SELMA website at www.selmamovie.com; www.paramount.com/movies/selma; www.avaduvernay.com/about; movie review by Kenny Miles at http://themovieblog.com/2015/ava-duvernays-masterful-selma-is-the-timely-movie-america-needs/; quote above is from the NY Times article titled, “A 50-Mile March, Nearly 50 Years Later. In ‘Selma,’ King Is Just One of Many Heros” by A.O. Scott on Dec. 24, 2014 available at www.nytimes.com; NY Times article titled, “The Man Who Would Be King. David Oyelowo’s Pivotal Role in ‘Selma’ by Felicia R. Leedec on Dec. 18, 2014 available at www.nytimes.com; information on the Battle Hymn of the Republic at http://en.wikipedia.org/wiki/The_Battle_Hymn_of_the_Republic; NY Times article titled, “An Unsettled Chapter in Martin Luther King’s Legacy” by Richard Fausset on Jan. 12, 2015 at http://mobile.nytimes.com; Wikipedia photo credit at http://en.wikipedia.org/wiki/Selma_to_Montgomery_marches; @iplegalfreebies and www.kasterlegal.com. To use certain offensive words and phrases to convey political messages. Cohen v. California, 403 U.S. 15 (1971). To engage in symbolic speech, (e.g., burning the flag in protest). Texas v. Johnson, 491 U.S. 397 (1989); United States v. Eichman, 496 U.S. 310 (1990). Not to speak (specifically, the right not to salute the flag). West Virginia Board of Education v. Barnette, 319 U.S. 624 (1943). Of students to wear black armbands to school to protest a war (“Students do not shed their constitutional rights at the schoolhouse gate.”). Tinker v. Des Moines, 393 U.S. 503 (1969). To contribute money (under certain circumstances) to political campaigns. Buckley v. Valeo, 424 U.S. 1 (1976). To advertise commercial products and professional services (with some restrictions). Virginia Board of Pharmacy v. Virginia Consumer Council, 425 U.S. 748 (1976); Bates v. State Bar of Arizona, 433 U.S. 350 (1977). To incite actions that would harm others (e.g., “[S]hout[ing] ‘fire’ in a crowded theater.”). Schenck v. United States, 249 U.S. 47 (1919). To make or distribute obscene materials. To burn draft cards as an anti-war protest. United States v. O’Brien, 391 U.S. 367 (1968). To permit students to print articles in a school newspaper over the objections of the school administration. Hazelwood School District v. Kuhlmeier, 484 U.S. 260 (1988). Of students to make an obscene speech at a school-sponsored event. Bethel School District #43 v. Fraser, 478 U.S. 675 (1986). Of students to advocate illegal drug use at a school-sponsored event. Morse v. Frederick, __ U.S. __ (2007). See also: the text above (emphasis added) and other information on the meaning of free speech at http://www.uscourts.gov; the full text of the U.S. Constitution at http://constitutioncenter.org/constitution/full-text; @iplegalfreebies and www.kasterlegal.com. Are you gearing up to send emails to your customers, clients and/or colleagues about your products and services? Keep in mind that commercial email messages are regulated by the CAN-SPAM Act. The good news is that compliance with the legal requirements outlined in the Act isn’t difficult. If you hire folks to handle your email-marketing, monitor what they are doing on your behalf to ensure compliance with the CAN-SPAM Act. 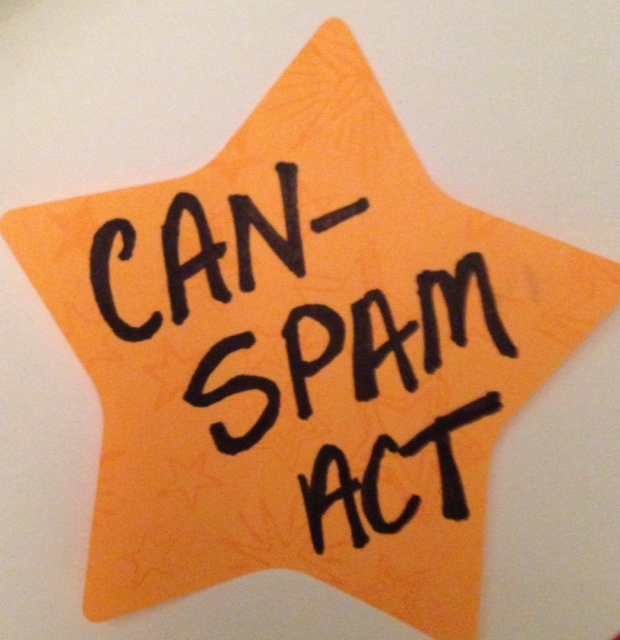 Despite its name, the CAN-SPAM Act doesn’t apply just to bulk email. It covers all commercial messages, which the law defines as “any electronic mail message the primary purpose of which is the commercial advertisement or promotion of a commercial product or service,” including email that promotes content on commercial websites. The law makes no exception for business-to- business email. That means all email – for example, a message to former customers announcing a new product line – must comply with the law. Each separate email in violation of the CAN-SPAM Act is subject to penalties of up to $16,000, so non-compliance can be costly. But following the law isn’t complicated. Check your holiday email blasts twice before sending them out to folks. See also: The CAN-SPAM Act at http://www.gpo.gov/fdsys/pkg/PLAW-108publ187/pdf/PLAW-108publ187.pdf (section 5 lists the requirements for transmission of commercial email messages); the CAN-SPAM Compliance Guide for Business issued by the FTC Bureau of Consumer Protection at http://www.business.ftc.gov/documents/bus61-can-spam-act-compliance-guide-business; http://www.fcc.gov/encyclopedia/can-spam; @iplegalfreebies and www.kasterlegal.com. Copyrighted works that have been registered with the U.S. Copyright Office are not vested with the same confidential treatment as trade secrets because they are available to the public. 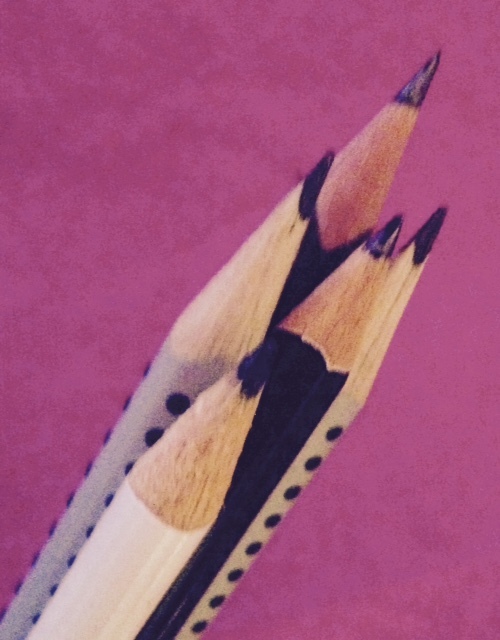 Each time a person or entity registers an original work with the U.S. Copyright Office, a copy of the work that the applicant wishes to register is submitted along with their application. This submitted copy of a published, literary work (which is called a deposit copy) is often made available to the public via the Library of Congress and a national network of libraries. The fact that copyrighted materials are public records and not confidential is a basic principle of U.S. Copyright Law. This basic principle of copyright law may create big changes to tire litigation and the evaluation of wrongful death claims related to faulty tires. To date courts have routinely held copyrighted reports containing data on tire safety is inadmissible in tire litigation because, the reports contain trade secrets and are thereby confidential. However, it seems that the copyright notice on the reports and their availability (upon request) to the public in the stacks at the Library of Congress and other libraries has been routinely overlooked. Proper application of copyright law in tire litigation could alter the evaluation, treatment and admissibility of copyrighted reports containing data on tire safety. As a result, copyright law has the potential to impact public safety. 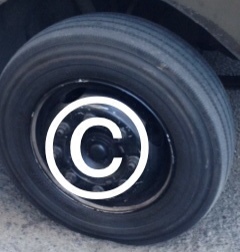 For more information on this topic, See the article titled “The Tire Industry’s Abuse of Copyright Claims and the Corresponding Defenses of Copyright Misuse and Fair Use of Smithers Documents” co-authored by me and my uncle, Bruce Kaster Esq. See also: a full bio of Mr. Bruce Kaster who has extensive litigation experience against major tire manufacturers and vehicle manufacturers, including Bridgestone, Firestone, Goodyear, Continental General, Cooper Tire, Ford Motor Company and others at www.tirefailures.com and a copy of our article and other resources at www.tirefailures.com/helpful-resourses.html; @iplegalfreebies and www.kasterlegal.com. Fabulous, smart, strong, witty, problem solving female characters are always great. Recently, Hollywood has been recasting some traditionally male characters like Watson (from Sir Arthur Conan Doyle’s famous Sherlock Holmes stories) as women. Additionally, Hollywood has been developing new central characters from the Doyle’s classics. For example, Watson’s wife (barely mentioned or developed in Doyle’s Sherlock Holmes stories) is becoming a featured charter in the new BBC series based on the literary classic. Also Lucy Liu is featured as Dr. Joan Watson in Elementary, a new series set in NYC. This is a great trend for developing new, dynamite leading ladies. Interestingly, this tend also has potential copyright advantages for the creative folks writing these new leading ladies based on traditionally male roles. The “copyright advantage” is that creating new original characters by definition creates new character traits, storylines and crime solving adventures which the owners of the new TV series can potentially own, control and monetize to a greater degree than if the stories, characters and adventures are taken from Sir Arthur Conan Doyle’s books. This is because some of the original story elements and characters from Sir Arthur Conan Doyle’s books and stories, like Holmes and Dr. John Watson, have entered into the public domain and others are still under copyright protection and must be licensed from Doyle’s Estate. (See this earlier post, http://wp.me/p10nNq-z8 , for more information on this topic). I love Lucy Liu as Dr. Joan Watson! 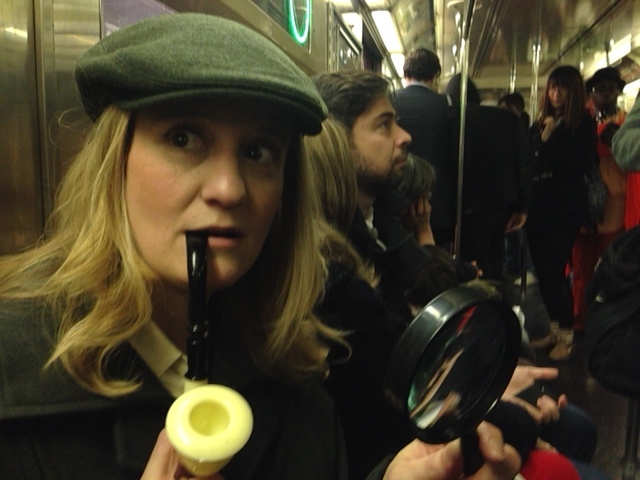 How about a lady Holmes, next? See also: earlier blog posts on the topic of “public domain,” https://iplegalfreebies.wordpress.com/category/public-domain/; other copyright and public domain resources, http://www.copyright.gov, http://copyright.cornell.edu/resources/publicdomain.cfm, http://creativecommons.org/publicdomain/; @iplegalfreebies and www.kasterlegal.com. The open registration phase for purchasing .NYC web addresses has begun. 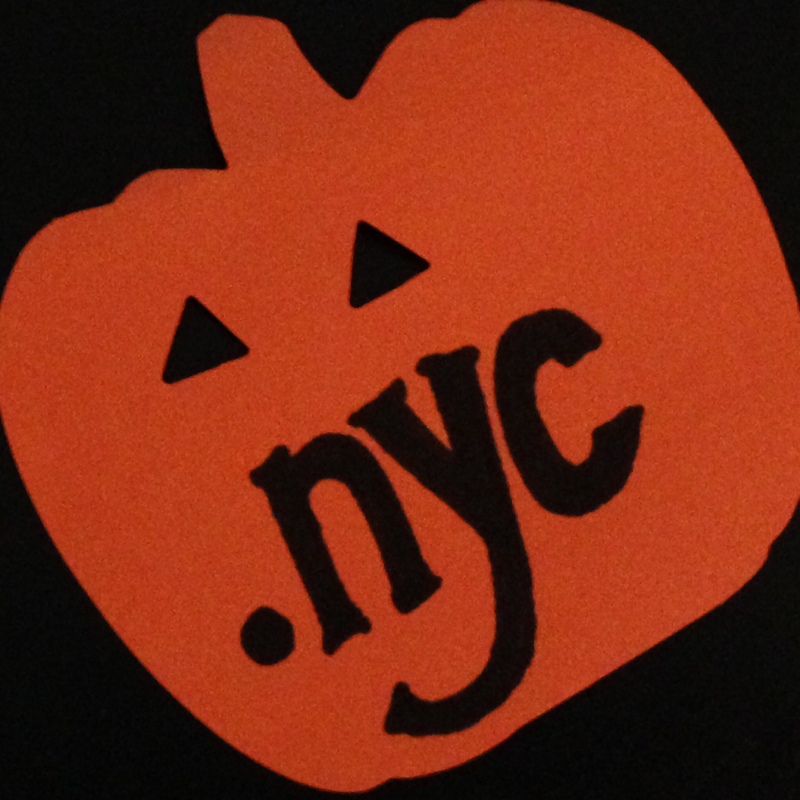 .NYC web addresses are a new breed of web addresses linked to a city domain. While we are all familiar with country domains like .au, .it, .fr, .ca, .de and .uk (Internet top-level domains, TLDs, for countries) regional domains are now available for cities to apply for. As far as I know, .NYC is one of the first city domains to be launched. See also: An earlier blog post on .NYC at http://wp.me/p10nNq-CK; Frequently Asked Questions about .NCY at http://www.ownit.nyc/faq and http://www.ownit.nyc/what-it-is; ICANN website for more information on new generic top level domains (gTLDs) at http://newgtlds.icann.org/en/; @iplegalfreebies and www.kasterlegal.com. Yes – copyright is a form of intellectual property that protects original works of authorship including content on a website. For example, original text, videos, graphics, animation, photographs, music, sound recordings, illustrations, translations and other original content featured on a website can be copyrighted. Two ways to use copyright to protect original content on a website are: 1) to use a copyright notice on the website, and 2) copyright registration with the U.S. Copyright Office. Using a date range in the copyright notice may be beneficial if new content is posted periodically. 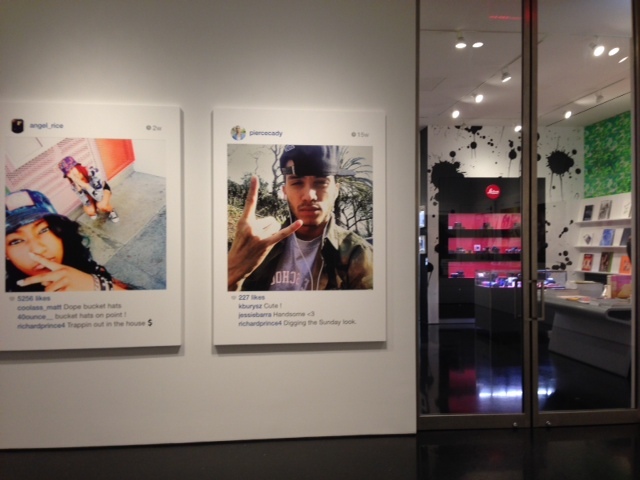 For example, © 2011-2014 Ima Starr. All rights reserved. An application for copyright registration only covers the original content that is submitted with the application and will not include future updates. If content on the website is updated frequently, it may be a good idea to file new applications for copyright registration periodically, as needed. 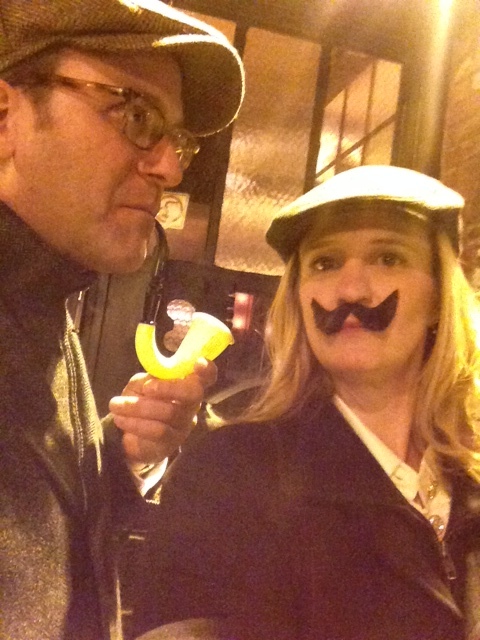 The author, creator, and owner of the content may or may not be the same person. This is an important component to consider and sort out before applying for copyright registration. If the website features original creative content such as books, music, jewelry designs, photographs, architectural designs, fabric designs, photographs or other original works of authorship it may be a good idea to also register these works with the U.S. Copyright Office before making them available on the website. Note, that copyright does not protect names, logos, titles or slogans. In some cases, these may be protectable as trademarks. 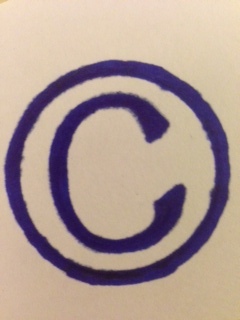 Here are links for more information on how to write a copyright notice, adding a copyright notice to a website and applying for copyright registration with the U.S. Copyright Office. See also: U.S. Copyright Office Circular 66 titled, Copyright Registration for Online Works at http://copyright.gov/circs/circ66.pdf and U.S. Copyright Office on “What does copyright protect” at http://copyright.gov/help/faq/faq-protect.html#idea; @iplegalfreebies and www.kasterlegal.com. Comments posted to an online forum acknowledging copyright infringement can be incriminating (despite a gleeful or playful tone). According to a recent article in the NY Times, one of the founders of NinjaVideo served 16 months in prison for conspiracy and criminal copyright infringement. For more details on the NinjaVideo story, see the NY Times Article titled, “The Unrepentant Bootlegger” by Jenna Wortham on 9/28/14. Copyright can be inherited and passed onto heirs just like other assets and property. For example, the copyright in books, plays, music, photographs, speeches and other original, copyrighted and copyrightable materials may be bequeathed by will or pass at the death of the copyright owner as personal property by the applicable laws of intestate succession. (Copyright does extend beyond the death of the author, photographer, playwright or creator of the work for a limited term – often life of the author plus 70 years). As per a recent article in The New York Times, a court battle over the copyright to the recently discovered photographs taken by the deceased photographer Vivian Maier has begun. Evidently, the young entrepreneur who has begun promoting, printing, displaying and using Vivian Maier’s photographs (after purchasing boxes of Vivian Maier’s negatives at auction) may not have tracked down, gotten permission from and paid the appropriate heir/s of Vivian Maier. 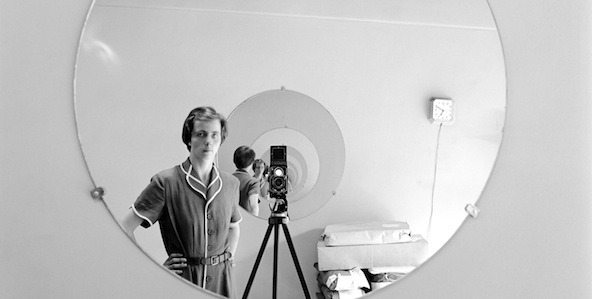 Who is Vivian Maier’s closest living relative? This question will be key to the litigation. This scenario of determining who the closest living relative is to a deceased creator (whose creative work was secret or unknown during their lifetime) may become more common now that the internet can be used as a fast and easy way to disseminate creative content and generate an online following and market for previously unknown works. See also: The New York Times article titled, The Heir’s Not Apparent, by Randy Kennedy on 9/6/2014; U.S. Copyright Office Circular 12 titled, Recordation of Transfers and other Documents at http://copyright.gov/circs/circ12.pdf; U.S. Copyright Office Circular 15a titled, Duration of Copyright at http://www.copyright.gov/circs/circ15a.pdf; @iplegalfreebies and www.kasterlegal.com.